...like pretty much every other game these days! 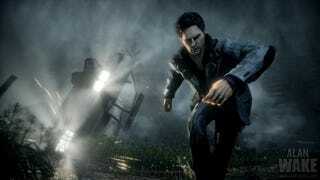 It's been known for some time that years-in-development psychological thriller Alan Wake will have an episodic nature. That nature will continue after the game is out. The aim, it seems, is to created gaming's version of something like the television drama Lost. At CES, Microsoft has confirmed that the game will have DLC — something that Alan Wake creator and writer Sam Lake hinted at last month in an interview with GameSpot. When asked about post release content, Lake replied, "We have talked about it, and with our episode-based structure, it would be very logical. But nothing has been decided on the matter, and right now, we are fully focused on polishing the game and shipping it. After that, let's see." With the game not yet shipped, it looks like Microsoft and developer Remedy Entertainment have taken a break from being fully focused on the game and confirm Alan Wake DLC at this year's CES.